The districts Hradcany, Mala Strana and Stare Mesto make up the historic center of Prague which has been on the UNESCO heritage lists since 1992. A walk through Prague is like a visit to an open-air museum. Make Prague Castle your first port of call. The castle complex comprises several buildings and museums. Reserve at least a whole morning or afternoon, an entire day is even better. The Astronomical Clock in the Old Town district attracts hundreds of visitors each hour when the clock strikes and the apostles do their round. Don't blink because the spectacle takes less than a minute. Amble across Charles Bridge while taking in the sweeping view of Prague Castle. Rub the feet of the statue of St John od Nepomuk and you are sure to return to Prague one day. Attend an organ concert in the St Nicholas Church or in the Church of Our Lady before Tyn. The Josefov district, the Jewish quarter, tells of Prague's Jewish history. Do your shopping in this district in Parizska Avenue, Prague's most fashionable shopping street. Hop on a tram and go to Vysehrad, Prague's second castle. Be sure to visit Vysehrad Cemetery full of Art Nouveau sculpted tombs. 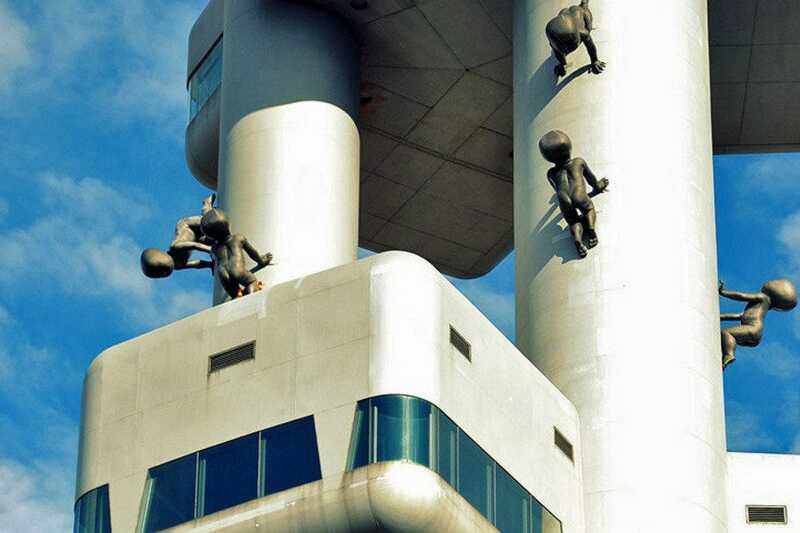 Finally, check out the babies crawling up the Zizkov television tower, if you like to see a Communist building. The Church of Lady before Tyn dominates Old Town Square. Its two spires are not symmetrical and characteristic of Gothic architecture. They represent the masculine and feminine sides of the world. The interior is impressive. Take your time to walk about and pay special attention to the main altar features altarpieces of the Ascension of Mary and the Holy Trinity. The baptism font is decorated with has reliefs of the apostles. The stone Gothic pulpit is also worth a closer look. The twelve station of the cross date back to the fifteenth century and are the oldest works of art in the church. Vinohradsky Pavilion, a former market hall, was converted into the first shopping center in Prague in the early 1990s. The basilica-shaped building dates back to the turn of the twentieth century. This rusty red building has many fine Art Nouveau details. After Communist days, Prague was not yet ready for western-style shopping malls, Vinohradske pavilion did get the number of visitors it had expected. Gradually many shops closed down, but the shopping center has now been completely renovated and offers exclusive designer brands such as Stockist, Modernista and Vartian. Albert supermarket in the basement is excellent for stocking up on Czech peculiarities. St Nicolas Church in Mala Strana is a fine example of Baroque architecture and consecrated to St Nicholas of Myra. Its copper dome and belfry dominate the Prague skyline. Until the end of the nineteenth century the belfry was Prague's watch tower. Until the fall of the Communist regime, the secret police used the tower to keep tabs on the population. The interior of the church is adorned with impressive statues, frescoes and paintings. Mozart played the baroque organ during his stay in Prague in 1787. The fresco over the organ depicts St Cecilia, patron saint of music. Josefov, the Jewish district, is what remains of Prague's Jewish ghetto. You will find here the Jewish Museum which consists of six synagogues, the Jewish Town Hall and the Old Jewish cemetery. Used as a burial site until the late eighteenth century, the cemetery contains more than 12.000 graves. People were buried on top of each other because this cemetery had only limited space. The Josefov district is also home to Prague's most fashionable fashion labels such as Armani, Burberry, Faberge, Boss. It is also the district where you will find Czech Haute Couture in boutiques of Hana Havelkova and Tatiana. Vysehrad is Prague's 'second' castle. Thus fortification dates back to the tenth century and a sprawling complex comprising of several historic sights; the Rotunda of St Martin, Saints Peter and Paul Church with two spires that can be seen from almost anywhere in Prague. Inside you can admire beautiful Art Nouveau frescoes. Be sure to visit Vysehrad Cemetery next to Sts Peter and Paul Church. Its centerpiece is the Slavin Monument, the resting place of more than fifty Czech artists whose names are engraved on commemorative plates. You will find in the cemetery the graves of the compoers Dvorak and Smetana and Mucha, painter and decorative artists. Zizkov Television Tower looms over Prague with a height of 216 meters (709 ft) and dominates the skyline. Construction started in 1985 long before the end of the Communist regime. The tower was supposed to jam western radio and television transmissions. It never did because building was finished 1992, three years after the Velvet Revolution. Czech artist David Cerny designed faceless baby sculptures who have been crawling up the tower since 2000. A lift whisks you up to the observation platform which allows 1 360 degree view of Prague, Prague Castle, St Vitus Cathedral, Petrin Hill, the Ntional theatre and also Vysehrad, Letna and the Vltava River. 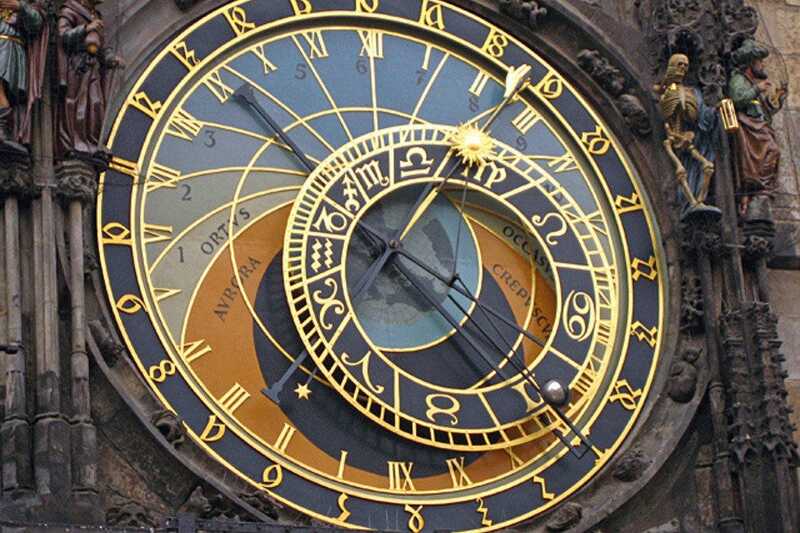 The astronomical clock at Old Town Square is probably Prague's most famous attraction. Not only does the clock indicate the hours, it also marks the phases of the moon, the equinoxes, the seasons and the days. 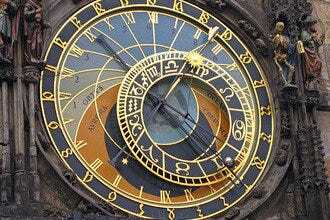 At the same time, the twelve zodiac signs make their course through the heavens. Join the crowd and watch the spectacle. Vanity admires herself in a hand mirror. A miser clutches a bag of gold. Death rings a bell and a Turk shakes his head. A shutter opens and out pop a procession of apostles. They make their round and exit through another shutter. The cockerel crows. The hour strikes. Festooned with statues and crammed with people, Charles Bridge is Prague's best-loved bridge. Named after Charles IV, it replaced old Judith Bridge destroyed in the 1324 floods. The slightly curved new bridge, Charles Bridge was a true engineering feat; wide enough for four carriages to pass at the same time, but now pedestrian only. At first, only a crucifix adorned the bridge. Today a whole string of statues stands guard on the parapet. The most popular is St John Nepomuk. Legend has it that when you rub his feet, you will return to Prague. Others claim this will bring you happiness. Whichever is true, be sure to polish the brass. 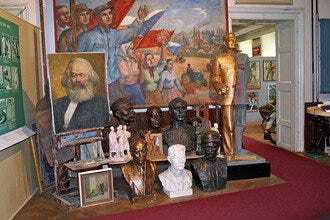 As wind and rain eroded the bridge statues, the originals were moved to the Lapidarium Museum and replicas put in their place. Mingle with the multitude on the bridge, listen to the Dixieland band and buy souvenirs from the hawkers. If you haven't ambled across Charles Bridge, you haven't been to Prague. Soaring spires of St Vitus Cathedral dominate the Prague skyline. Not only is the cathedral a place of pilgrimage, it is also a museum, treasure chamber and a blockbuster attraction. This is the church where the archbishop of Prague crowned Bohemian kings and where they have their last resting place. Highlights of the cathedral include the silver tomb of John Nepomuk with an army of angels supporting a canopy, the coronation chamber where the crown jewels are kept, Wenceslas Chapel with wall paintings depicting the saint's life and stained glass windows designed by Art Nouveau painter and decorative artist Alfons Mucha. Prazsky Hrad, Prague Castle, is one of the largest castle complexes in the world. 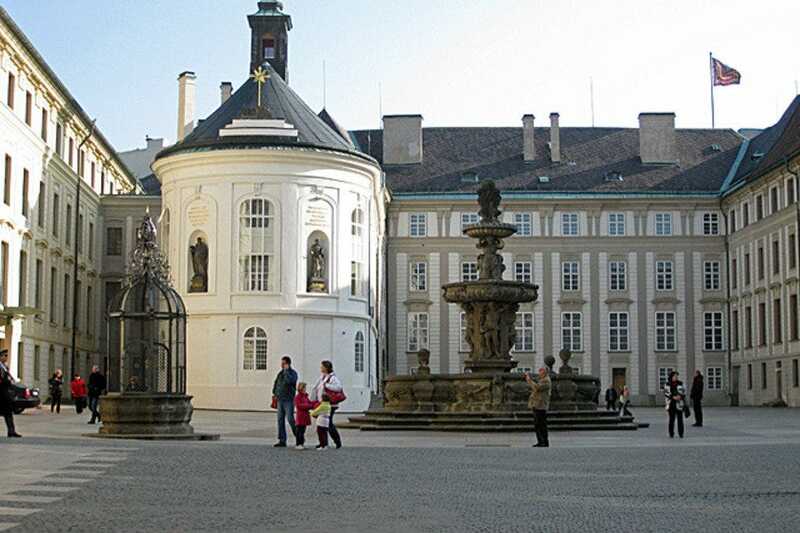 Not only is it home to the Czech President it also includes one of Prague's most popular tourist attractions. The castle complex also comprises St. Vitus Cathedral, the Royal Palace, St. George's Basilica and the Powder Tower. Visitors can easily spend a full day exploring the castle and the grounds; from admiring Alphons Mucha's stained glass windows in the St Vitus Cathedral to watching the changing of the guards. Stroll along the Golden Lane, a row of picturesque cottages built for the castle's guards and gunners now transformed into souvenir shops and the lane is always bustling with people.